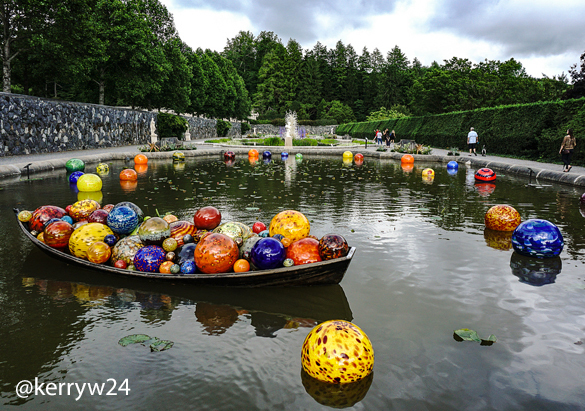 Chihuly at Biltmore—the first art exhibition in Biltmore’s historic gardens and the first garden exhibition of Dale Chihuly’s works in North Carolina—showcases large-scale glass sculptures throughout the grounds of America’s Largest Home®. 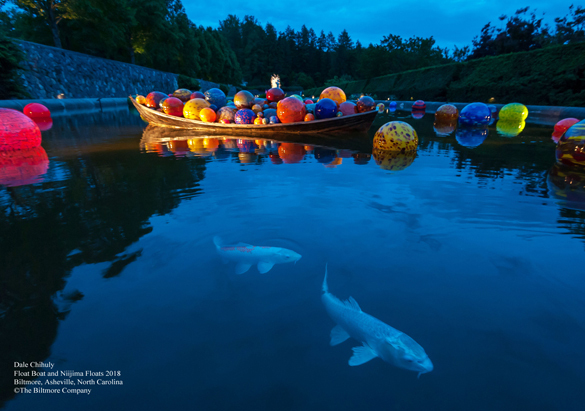 One of the must-see displays of this exciting exhibition in is the Italian Garden, where five different installations are set throughout its three pools, including Niijima Floats, named for the island of Niijima in Tokyo Bay, Japan. Coincidentally, this unique installation exists alongside another Japanese connection: the colorful koi that populate the Italian Garden pools. While we don’t know exactly when the koi were introduced to the pools, we do know that George Vanderbilt had a fascination with their nation of origin: Japan. 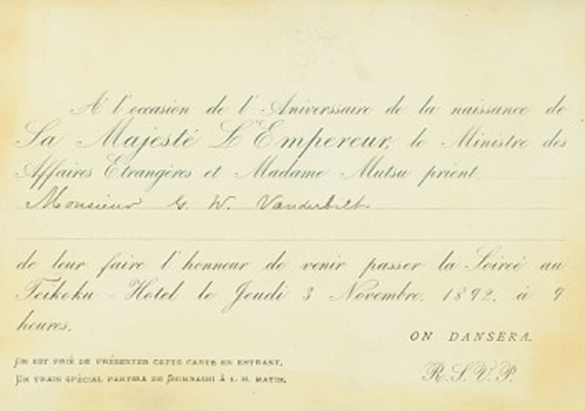 In fact, in 1892, George Vanderbilt and his cousin, Clarence Barker, toured countless temples and other cultural sites during their trip to Japan—a trip which begin with an invitation to attend the Emperor’s birthday celebration. 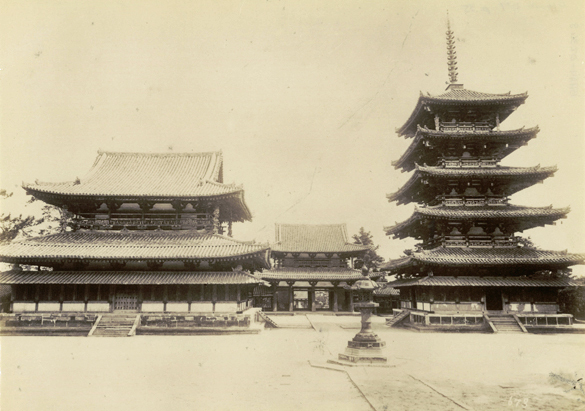 Around the turn of the century, many Americans thought Japan and its culture were exotic and rooted in tradition, offering a blend of spirituality and aesthetic beauty. To George Vanderbilt, deeply interested in history, the arts, and collecting, the allure must have been irresistible. 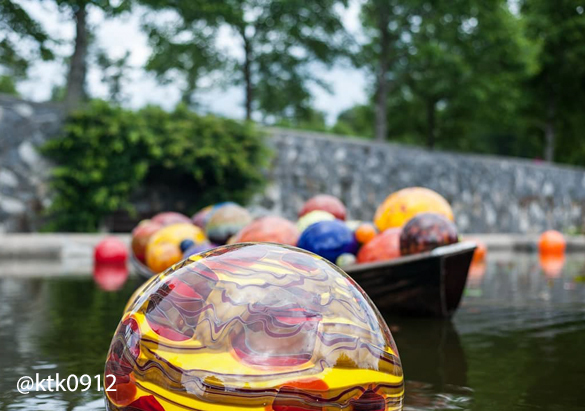 Visit now through October 7 to experience Chihuly at Biltmore. 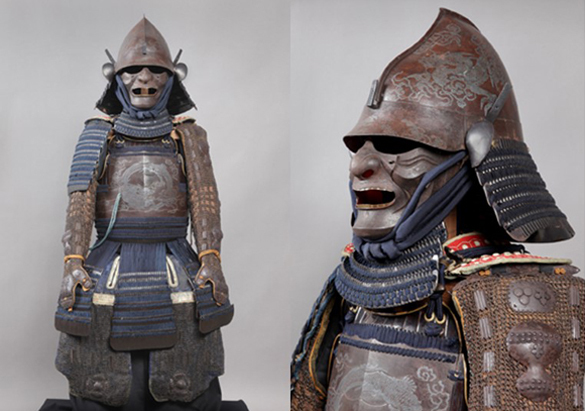 After strolling through the exhibition, we invite you to discover The Biltmore Legacy in Antler Hill Village to view the Samurai armor and other treasures George Vanderbilt collected during his travels as part of our The Vanderbilts at Home and Abroad.